The National Night Out Against Crime Rally is held in towns and cities throughout the country to encourage neighbors to come together with local officials to help make communities safer. This event is completely free to all those who wish to attend and will feature a wide range of activities as well as giveaways and prizes! The Shiner Law Group is proud to once again sponsor the 33rd Annual National Night Out Against Crime Rally at the Delray Beach Tennis Center (201 West Atlantic Avenue, Delray Beach), taking place on Tuesday, August 2, 2016, in partnership with the Delray Beach Police Department. This event is completely free to all those who wish to attend and will feature a wide range of activities as well as giveaways and prizes! This is the second year that this event will take place in Delray Beach and, like the previous year, the Shiner Law Group, among other sponsors, will have a tent set up with various contests and prize giveaways. Shiner the Shark, the mascot of Shiner's safety education program, will also be on hand to meet the kids and to give away backpacks with school supplies to those in need who attend school in Delray Beach. All residents of Delray Beach are invited to attend this fun get-together, which will include live music, food, entertainment and plenty of activities for the children. Representatives of the Delray Beach police force will be on hand to perform a series of live demonstrations featuring the K-9, SWAT and motorcycle units. City officials and members of the city commission will also be in attendance to meet with the public. 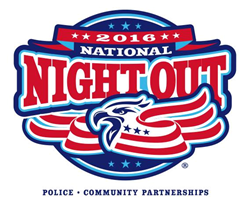 The National Night Out Event originated in 1984 and was founded by the National Association of Town Watch. The event is held in towns and cities throughout the country to encourage neighbors to come together with local officials to help make communities safer. From 6:00PM to 10:00 PM, Delray Beach residents are encouraged to turn on their outdoor lights and to go out and socialize with their neighbors to show support for this initiative. The Delray Beach Police Department can be reached at 561-243-7810 for any questions about the event. You can learn more about Shiner Law Group at http://www.InCourt.com or by calling 561-777-7700.